The modern-day rhinos we’re celebrating this World Rhino Day have a seriously impressive ancestry: their earliest relations were roaming the planet some 50 million year ago! From the five-metre-tall Paraceratherium (which ranks among the largest land mammals ever to walk the earth), to Elasmotherium and its supersized horn, we’re taking a closer look at a few awesome prehistoric members of the rhino family. At first glance, this towering behemoth doesn't even look much like a rhino. That’s probably because it’s missing a very distinctive feature: the horn. 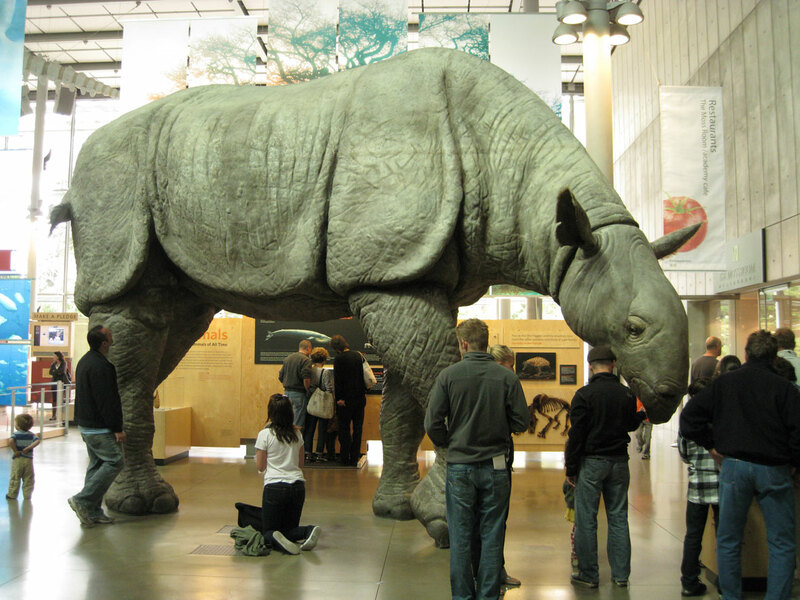 Paraceratherium was a genus of giant rhinos that lived during the Oligocene epoch (some 34-23 million years ago). Among them were some of the largest land mammals to ever walk the earth! 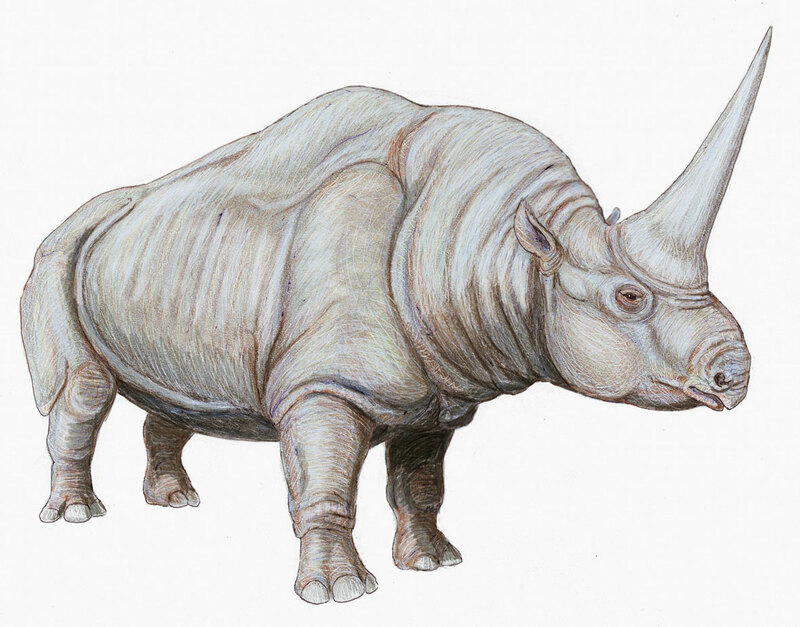 While these giants weren’t considered "true rhinos", they did belong to the superfamily Rhinocerotoidea, which also includes modern-day rhinos. 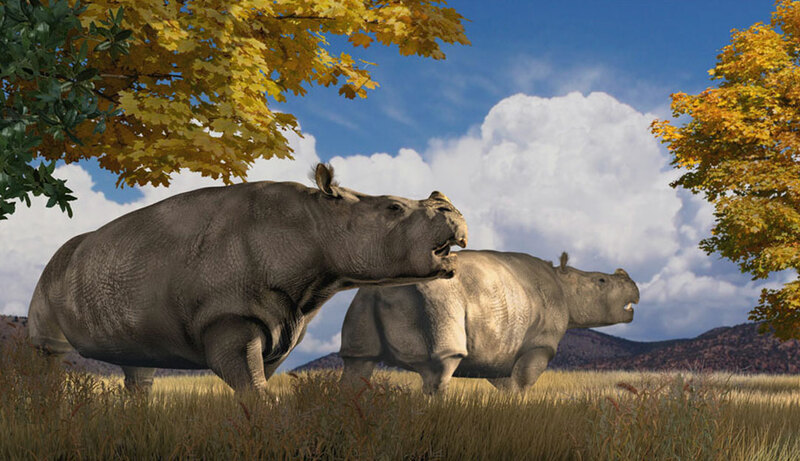 Although the exact size of Paraceratherium is unknown because we have only incomplete fossils to go on, scientists believe they were about 4.8 metres at the shoulder and weighed as much as 20 tonnes (that's around five modern-day African elephants). Elasmotherium (meaning "thin plate beast") was another prehistoric giant, though at around three metres tall, it was no match for Paraceratherium. Its standout feature? One seriously massive horn. No Elasmotherium horns have ever been unearthed (rhino horns don't fossilise), but their skulls show signs of where these massive weapons would have once attached. Estimating the horn's size is a bit of a guessing game (but it's possible they were as long as a metre!). Unlike other members of the rhinoceros family, Elasmotherium also had pretty long legs, allowing it to run more like a horse. It might not get as much time in the spotlight as the woolly mammoth (or the Ice Age fame), but the woolly rhinoceros (Coelodonta antiquitatis) was just as cool. It lived during the Pleistocene epoch (some 2.5 million years to 11,700 years ago). 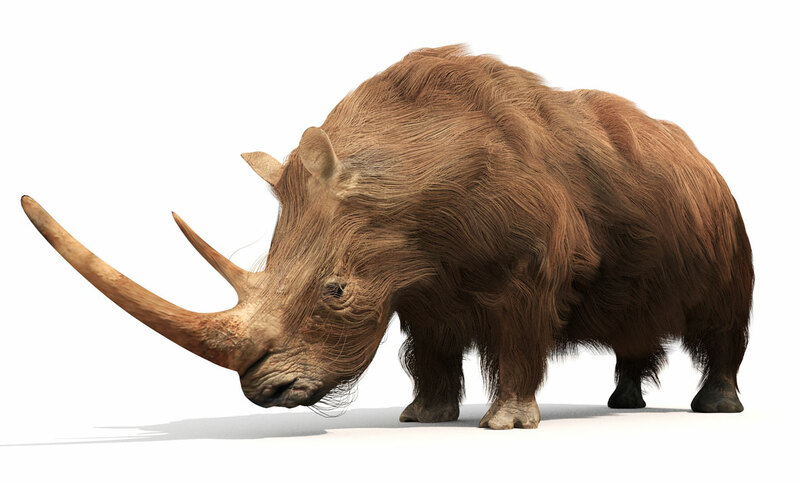 Roughly the same size and weight as the modern white rhino, it roamed the earth during the last Ice Age in northern Asia and Europe, where that long, thick fur coat would have come in pretty handy (it probably used its horn for shovelling snow). Just recently, the remains of a baby woolly rhino, dubbed "Sasha", were discovered in the Siberian permafrost, the first time a juvenile of the species has been found. And the woolly rhino's closest living relative? The Sumatran rhino. Image: Karen Carr, via karencarr.com. Used with permission. With its squat body and short legs, this creature wasn't exactly a giant ... and it also looked more like a hippopotamus than a rhino – it even had hippo-like teeth. Because of these similarities, scientists long believed Teleoceras was semi-aquatic, spending its days wallowing in lakes and streams. However, studies have since suggested that at least some of them preferred to graze on land. Short legs meant they could eat grasses, while other larger rhinos browsed for taller plants. You’d find this guy roaming around North America and southwestern France around 17-4.5 million years ago.